Whenever dozens of government officials, journalists, and policy analysts recycle the same one-liner in responding to a news event, you can bet they're full of it. In the wake of Israeli Prime Minister Benjamin Netanyahu's unveiling of documents proving unmistakably that Iran has been lying for years about its nuclear program, proponents of the 2015 Joint Comprehensive Plan of Action (JCPOA) are falling over themselves to make the same quip – that the new revelations, far from calling into (further) question the wisdom of the so-called Iran nuclear deal, prove its necessity. The trend seems to have gotten started with the reactions of European governments to the presentation (well played, John Kerry). "The pertinence of the deal is reinforced by the details presented by Israel," read a statement by the French Foreign Ministry. British Foreign Minister Boris Johnson said the presentation "underlines the importance of keeping the Iran nuclear deal's constraints on Tehran's nuclear ambitions." Whenever dozens of opinion-makers recycle the same one-liner in responding to news, you can bet they're full of it. That opened the floodgates. "Netanyahu's presentation works as an advertisement for the pact he was trying to take down," writes Jeffrey Lewis. Netanyahu "unintentionally ... demonstrate[d] why the JCPOA is so important," insists Ilan Goldenberg of the Center for a New American Security. According to Fred Kaplan, he "unwittingly made a strong case to stay in" the JCPOA. "Netanyahu accidentally made the case for the Iran nuclear deal," according to Daniel Amir. "Netanyahu makes a case for the JCPOA," reads the title of a Paul Pillar piece. His presentation "proves exactly why Iran nuclear deal needs to remain in place," reads that of a Patrick Cockburn article. J Street issued a press release saying, "Netanyahu unintentionally made an excellent case for why it is so vital to maintain the Iran nuclear agreement." Netanyahu's presentation "reinforces the need for the agreement," said Ernest Moniz, secretary of energy under the Obama administration, on CNN yesterday. All of these zingers are rooted in the same straw-man argument. Since the JCPOA has a really tight inspections regime, past evidence of cheating and duplicity by the Iranians is all the more reason to keep the deal. 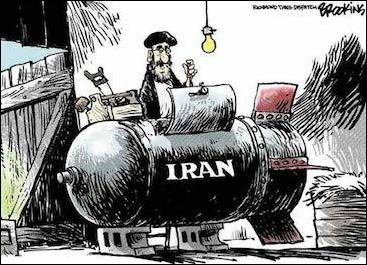 But the problem Netanyahu and others have with the JCPOA isn't that Iran will try to work on a bomb covertly in the years ahead. It's that Iran will bide its time until the international community has grown less united, its economy is recovered, and the JCPOA provisions begin to sunset, then openly resume its pursuit of the bomb. The captured Iranian archives make clear that this is precisely the intention of Iran's ruling mullahs. 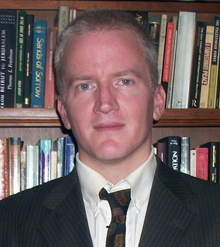 Gary C. Gambill is a Philadelphia-based policy analyst. Follow him at Twitter and Facebook.